A modern country in Southeast Asia, Malaysia has been for a long time a major tourist draw. 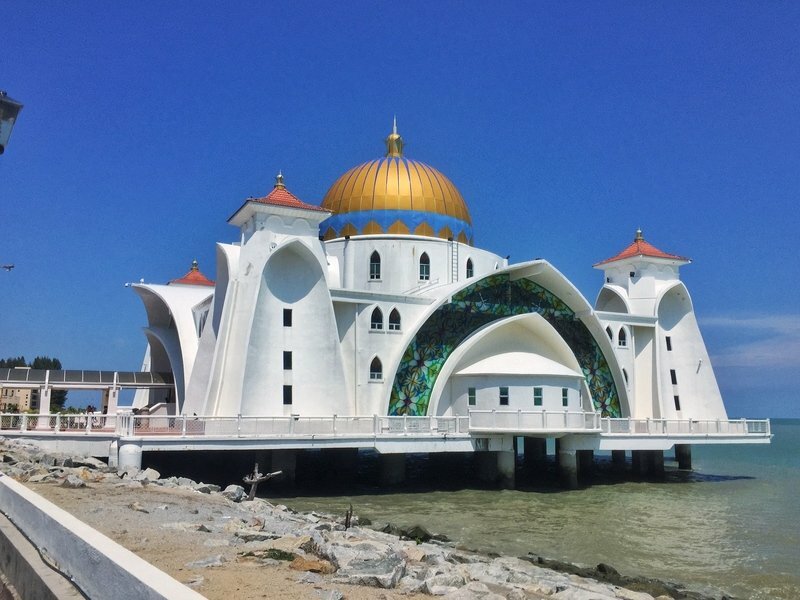 If you are thinking about travelling there, here you will find some precious tips that will help you plan a trip to Malaysia, from how to get around to how to book your accommodation. If you’re planning a trip to Malaysia, you’re in for a treat. Malaysia has something for everyone (that’s a genuine statement). Having spent over six months in the country, I’ve experienced the highs and lows of travelling in Malaysia. In fairness, the lows are nothing major but there are things you might want to consider as you travel the country. 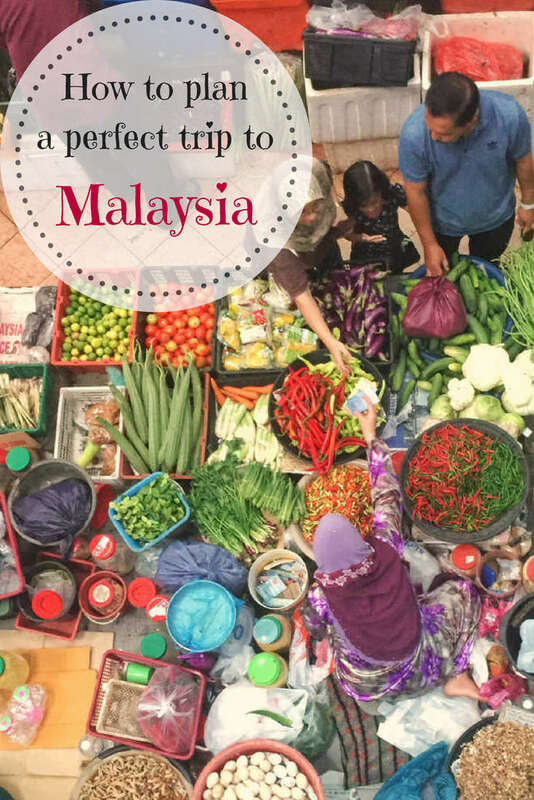 Here are 10 tips to consider as you start planning your trip to Malaysia. The major website booking engines have lots of accommodation options listed for the popular tourist destinations. 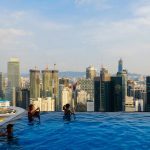 When I’m in Malaysia, I use the Agoda app over 90% of the time to make bookings as they are consistently the cheapest and have the most options. In 2017 a Tourism Tax was introduced for international visitors to Malaysia. If you’re booking a private room, expect to pay an additional 10 RM/night on arrival regardless of the price of your room. For hostels, the rules aren’t entirely clear but I have never been asked to pay the full 10 RM when staying in a dormitory. Of maybe 20 hostels, two asked for a few extra ringgit saying it was for the tourist tax. Travelling around mainland Malaysia is simply relative to the rest of Southeast Asia. The three popular options are train, bus, and flying. The main train line runs from Johor Bahru to the Thai border along the west side of the mainland. If possible, book your trains a day in advance as I’ve tried to book on the day several times only to find them sold out. The other train line is known as the Jungle Railway. It runs from Gemas, which is near Kuala Lumpur, to Tumpat which is in the northeast close to the Thai border. I haven’t caught this myself, but it does look like a fun way to see the country. There are buses travelling all over Malaysia and is the most common way to travel between cities. At worst there will be a bus to Kuala Lumpur where you can then switch buses to reach your next destination. In general, the buses are comfortable although the service varies dramatically. Note: as is the case with most overnight buses in Southeast Asia, they blast the air con. EasyBook.com is the most popular portal for booking buses online in Malaysia as the prices are similar to what you’d pay if you book in person (not every bus service is listed on EasyBook). Most of the time you can get away with booking a bus an hour in advance at the bus station, but if you must get somewhere, go the day before. AirAsia and FireFly are two budget-airlines based in Malaysia offering affordable domestic flights along with several others who operate in Malaysia. Check Skyscanner and the airline websites if you think flying between places is a chance, you can get some great flight deals. If you’re heading to one of the islands, there are usually multiple daily ferry services (normally a speedboat) to most of them. If you find a ferry timetable online, use that as a guideline rather than a fixed timetable. Unless you’re travelling during a busy period, there’s no need to book ferries in advance. With a limited time in Malaysia, there are dozens of cities to choose between (make sure you don’t overlook KL as ‘just another city’). I’d never say that two cities are the same, but in Malaysia, there are places that are similar in terms of what they offer. 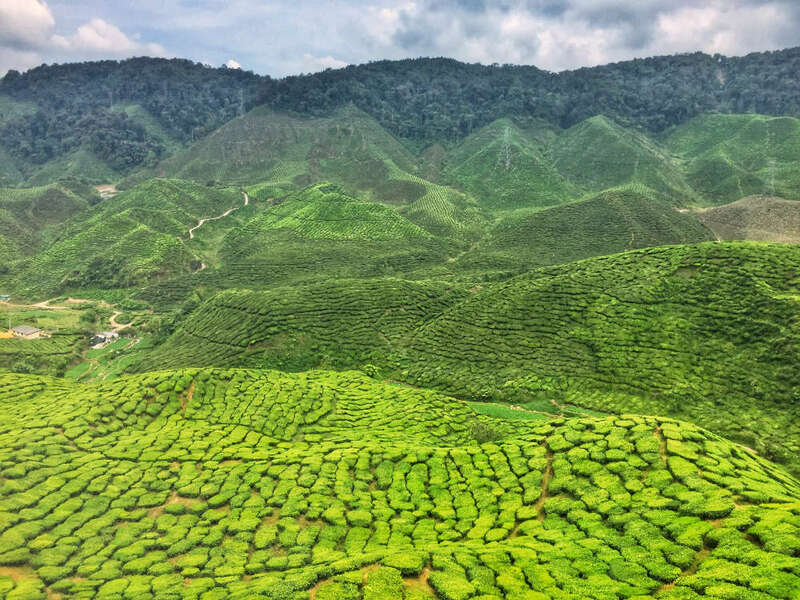 If you’re deciding on places to visit in Malaysia in a limited timeframe, there’s no point in visiting both Taman Negara and the Cameron Highlands when the main purpose for both is hiking. The same goes for Penang and Ipoh, where street art and food are two of the key attractions. Of course, if you want the best food in Malaysia, maybe you should visit both Penang and Ipoh and forget about Taman Negara and the Cameron Highlands. 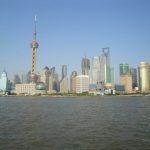 I help determine which the places you should visit in this post. The majority of Malaysia observes a traditional Monday to Friday working week, however, there are four exceptions. Johor, Kedah, Kelantan, and Terengganu, have their working week from Sunday to Thursday to allow Muslims to relax on Fridays while following their religious obligations. After many discussions with fellow backpackers, we’ve determined one of the reasons Malaysia isn’t a popular destination for backpackers in Southeast Asia is because of the higher alcohol prices (strong Muslim culture throughout the country). It is more expensive across the board but the price of alcohol varies a lot as a result of duty-free zones around the country. We all know what duty-free zones mean for alcohol, right? Langkawi is a duty-free island, therefore, it’s a place where you can sit on the beach and enjoy a cheap drink in Malaysia. On the other hand, I died a little inside when a beer at the pub costs more than my hostel for the night in Kuala Lumpur. What you do with this information is up to you. Maybe you need to consider where you’ll have a night out in Malaysia if you’re on a budget. I was nervous leading up to spending Ramadan in Malaysia. 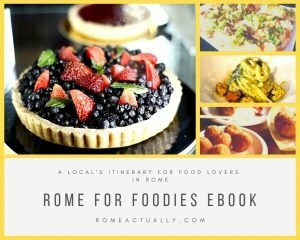 Would all the restaurants be closed during the day? What about supermarkets? I spent the majority of Ramadan in Kuala Lumpur and Johor Bahru and had no issues at all. Malaysia is a multicultural country with people of Malay, Indian, and Chinese backgrounds living together. The Chinese and Indians generally aren’t Muslim, therefore they don’t participate in Ramadan and so the Chinese and Indian restaurants usually have regular operating hours. If you’re interacting with Muslims during Ramadan there’s no need for over the top special treatment in my experience. Just be polite, and don’t go gorging yourself in when someone observing Ramadan is nearby. And make sure to visit some of the night markets that are open in the evening especially for Ramadan. They are a happening place! I mentioned the multicultural aspects of Malaysia above. What this does mean is there are lots of festivals celebrated throughout the year. And Malaysians love to celebrate. Ask your accommodation hosts if there are any public holidays coming up as travelling during these times can be tough with Malays travelling en masse. I spent Hari Raya which celebrates the end of Ramadan in the Cameron Highlands and traffic was a nightmare! If you could book a bus, it was going to be hours late. If you wanted to take a tour, you had to book in advance, and there were people everywhere. Timing is an important thing to keep in mind when you are planning a trip to Malaysia. If you’re considering scuba diving in Malaysia, there are some great reefs and wrecks to explore. The two places that are of most interest to dive are the Perhentian Islands and Borneo’s Sipadan. 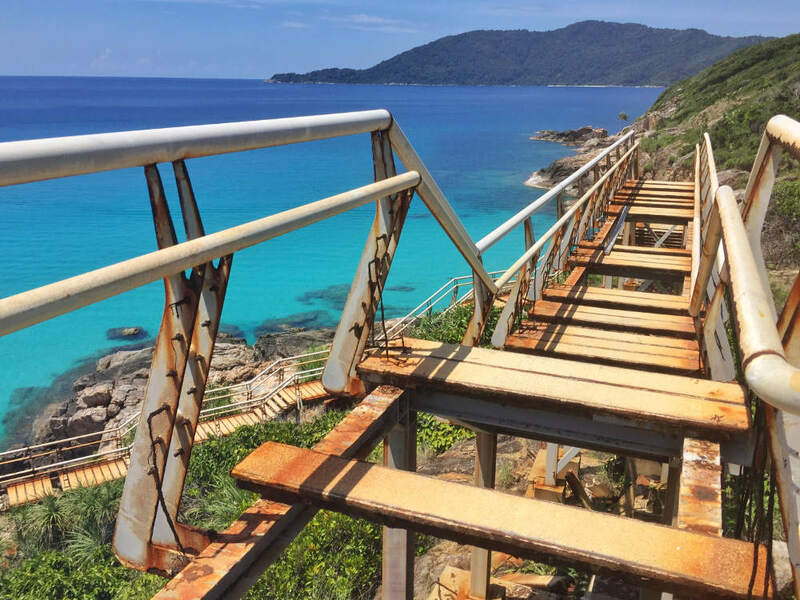 Why the Perhentian Islands? It’s one of the cheapest places to get your scuba diving certificates in Southeast Asia. When you get to the smaller of the two islands, you’ll quickly see how scuba diving is the heart of the island. If you’re looking to pick up any diving certs, this is the place to go. There are lots of options for dive shops on the island and you can usually make plans when you get there. You might want to look into Airbnb though, as they will often list the places and include diving in the price, although you’ll likely pay a higher amount going this route. Why Sipadan? Regularly listed as one of the best dive sites in the world, there is a lot of protection going on around the Sipadan Island dive sites. That means you can’t stay on the island so you’ll need to base yourself on one of the islands nearby. There is also a limited number of people allowed to dive each day. If you want to dive here, book as soon as possible to avoid disappointment (months in advance). The monsoon (rainy) season for the east coast of the mainland is usually considered to run from October to March. During this period most of the islands are closed to tourists with the rain falling for days from time to time. On the west coast, the monsoon season is considered to be from May to October. In my experience, however, this generally means there will be rain for a couple hours in the late afternoon which is easy to work around. The weather in most destinations is hot and humid throughout the year, so get a good bottle to stay hydrated. You’ll be sweating day and night so if you want some cooler destinations, consider visiting the Genting Highlands or the Cameron Highlands. Be prepared to pay more than what locals do to visit many tourist attractions. Whether you agree with the principle or not, there’s no way to avoid it, so it’s something to consider when you prepare your trip to Malaysia.